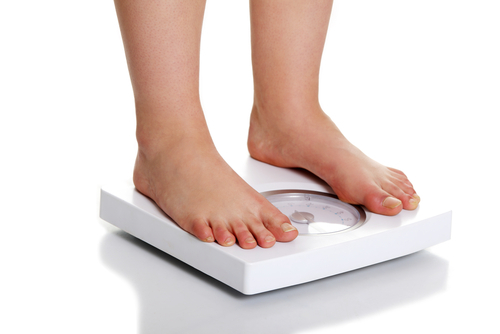 Overweight Foot Conditions | Podiatry Associates, P.C. Weight is an uncomfortable topic. For most people, it’s easy to gain and very difficult to lose. Unfortunately, excessive bodyweight has also become a serious health crisis. Millions of Americans struggle with obesity, and weight-related health problems, every year. These problems can include conditions that are not only detrimental for your body over all, but have direct consequences for your lower limbs. Obesity and foot health problems are negatively linked. Being overweight has many unpleasant and serious effects on your body health as a whole. Carrying excess fat puts serious strain on your heart, skeleton, muscles, and joints. It encourages plaque build-ups in your arteries and high blood pressure problems. There are connections between obesity and chronic conditions like heart disease, gallbladder disease, some cancers, osteoarthritis, and diabetes. Being overweight even negatively impacts your mental health and contributes to problems like depression and anxiety. Whether you realize it or not, all of these serious health concerns have a direct and painful effect on your lower limbs that can cause pain and limit your mobility in the long run. Peripheral Arterial Disease – Plaque build-up in your arteries severely restricts blood flow to your lower limbs. This can make it harder for your feet to get the oxygen and nutrients they need to work well, causing painful side effects. This also restricts your immune system in your legs, increasing your risk for infections and injuries that do not heal. Diabetes Complications – Diabetes weakens your feet over all, putting you at high risk for ulcers, life-threatening infections, breakdowns like Charcot foot, and even amputations. Arthritis Problems – Strain on your joints from obesity can wear away the protective layers, allowing your bones to grind together painfully and restrict your movement. Fat build-up can also contribute to inflammation in your joints, which can exacerbate osteoarthritis, rheumatoid arthritis, and even potentially gout. The good news for you and your feet is that you don’t have to accept these painful problems and let them limit your life. Not only can you manage the conditions and alleviate your pain, even just a little weight loss can have highly positive results for your feet and your body as a whole! Wearing properly supportive shoes and sometimes orthotics can relieve a lot of the strain on your lower limbs. This can also help prevent ulcers. Foot pain from being overweight can make it difficult to exercise, but adjusting your diet and doing simple aerobic activities like walking, biking, and water activities, can help improve your strength, circulation, and overall health without straining your feet too much. It’s hard to adjust your diet and entire way of living to control your weight; however, the long-term benefits and managing (or preventing) serious conditions is definitely worth it. If you’re already experiencing pain or have noticed health problems related to your weight, don’t brush it off. You can do something about it—today! Let Podiatry Associates, P.C. in Cherry Creek in Denver, Castle Pines, and Parker, CO, help you take care of your feet and your body as a whole. Use our online contact forms or call (303) 805-5156 to reach us and make an appointment today with Dr. Oberholtzer-Classen or any other member of our podiatry team.